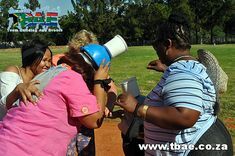 Over the years, TBAE has developed a collection of fun exercises that promote team work and communication skills. 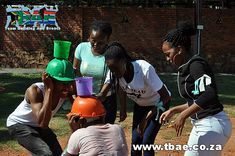 The following is a selection of some of the team building exercises that TBAE offers in their various group and indoor activities. Bhati – In this exercise, one team must pick up as many objects as possible and put them into a crate, only using their feet. They need to achieve this while avoiding ‘fire’ from the opposing team. If anyone does get hit by a ‘missile’, they need to get out of the designated area. 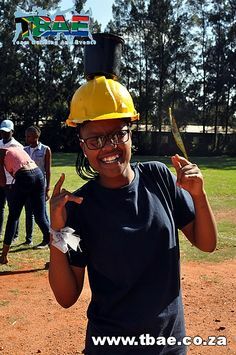 Once all the team members have been hit the objects are counted, and the teams swap over to see whom the winning team is. 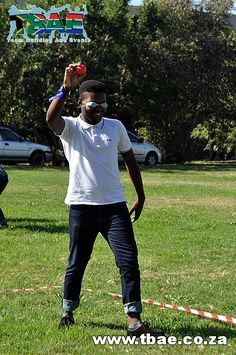 Blindfold Collection – Two team members at a time are blindfolded, and the rest of the team need to communicate to them which objects to pick-up. Each team member will have a chance to be blindfolded. Bubble Pie – In this team building exercise teams have to “make” as many bubbles as possible in a bucket filled with soapy water. The team is given a tin can which needs to be filled with bubbles. When a team member has the tin can filled with bubbles, he/she needs to run to a bucket on the opposite side and deposit what is left of the bubbles in the empty bucket. They then run back to the line, passing the empty can to the next person in line. That person repeats the whole process, which continues until everyone in the line has had a turn. Team with the most bubbles in the bucket wins. 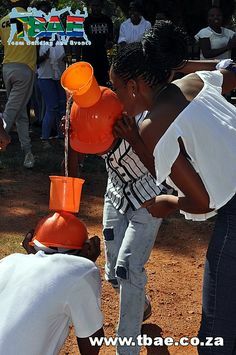 Bucket challenge – This exercise take place in the form of a relay race with teams racing against each other while trying to transport as much water as possible. 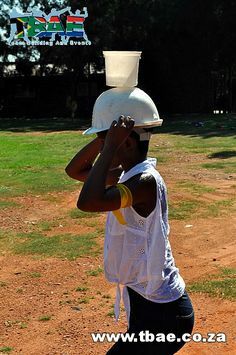 The buckets need to stay on top of the team member’s heads at all times which makes staying dry extremely difficult. Catty Shooting – The Catty is a small hand-held weapon that is powered by pulling back an elastic band that is joined to the small pouch that holds the items being shot. 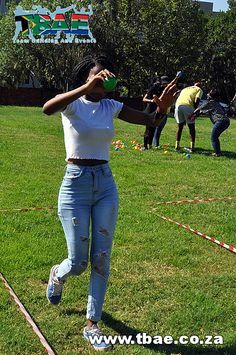 In this team building exercise, a target needs to be hit a certain number of times with the team members taking turns at trying to hit the target. Frisbee Golf – In this exercise, instead of hitting a ball into a hole, you throw a Frisbee until it lands in a Hoola Hoop. Like normal golf, the object of Frisbee Golf is to complete each hole in the least number of throws. The player with the least throws on the last hole throws first on the next. Hula Hoop Down – The team stands in a circle, and the goal is to move the Hula Hoop down from above waist height to the ground. There are certain restrictions in terms of how the Hula Hoop is allowed to be held. Magic Carpet – In this exercise, each team member needs to stand on a small carpet. The team must then turn over the carpet without any body part of each team member touching the ground. Marble Run – In the Marble Run exercise a marble needs to be rolled from point A to point B using pipes. The team members need to join the pipes together without the marble falling to the ground. If the marble hits the ground at any time they have to start again. Memory Tester – The object of this exercise is for the team to build a replica of a structure. The teams are given all the pieces that make up this structure. 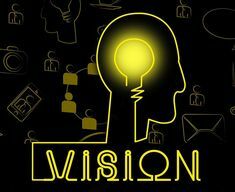 However, the structure is not in front of them, and only one team member at a time is able to see the structure. They can move back to the structure as many times as they want to but time is of the essence in the race against the other teams. Communication and team work are crucial in this team building exercise. Mummy Race – In this exercise a team member is mummified with toilet paper by the rest of the team. The mummy must then be carried by the team members to the tomb. The team whose mummy is the most intact wins the exercise. Over & Under – Teams stand in long lines facing each other back to front. At the head of each line, there is a bucket of water and at the other end a plastic empty container. A sponge is given to the person at the head of the line where the water bucket is. That person has to dip the sponge in the water to soak in as much water as they can. 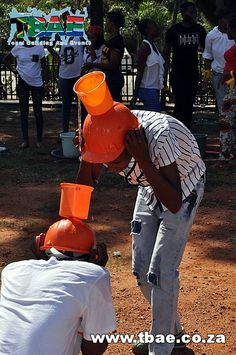 Then they have to pass the wet sponge over their head to the person behind – who then passes the sponge to the person behind them through their legs. The sponge makes its way back over the head of one person and between the legs of the next until it gets to the person standing next to the empty container. 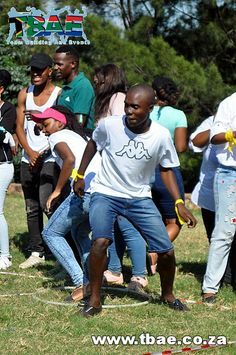 That person must squeeze whatever water is left into the empty container and run the sponge back up to the head of the line. The team with most water in the container wins. Plank Walk – Teams race against each other with multiple participants from each team sharing a couple of planks. To move forward on the planks the team members have to work together and coordinate their movements. Tyre Race – In this exercise, members of the team need to maneuver tyres around certain obstacles using the two wooden poles provided. This is a relay race. Water Balloon Toss – Team members from the same team stand facing each other at a two meter distance and throw a water balloon to the member on the opposite side – after every successful toss and catch the members each take a step backward – the 2 team member that can successfully throw and catch at the furthest distance from each other win for their team. Water Transfer – Teams need to transfer water from one side to the other using a combination of different equipment including canvas sheets and pipes with holes in them. Prepare to get extremely wet.